If you’re looking for a deal on a Pack N Play, check out this deal from Amazon! 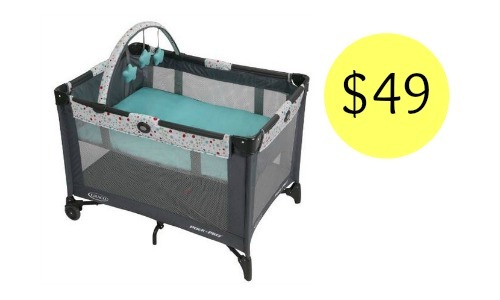 They’re currently offering the Graco Pack N Play with Bassinet for $49 (reg. $79.99). This product is perfect for travel and is easy to set-up and take down. It also comes with a carrying bag and a toy bar.